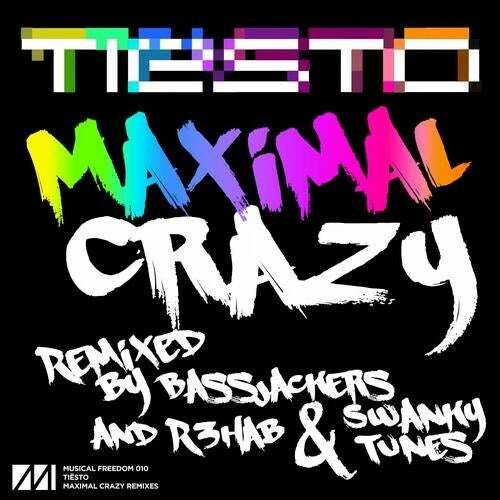 Tiësto's "Maximal Crazy" is perhaps one of the biggest tracks of the year. After demolishing tens of thousands of fans on his Club Life College Invasion Tour, topping the Beatport charts, and bringing the house down at his record breaking 26,000 person Home Depot Center show in Los Angeles, "Maximal Crazy" is getting the remix treatment from none other than Musical Freedom icons Bassjackers and R3hab & Swanky Tunes. Both vicious electro takes on an already monstrous track, these two remixes offer another layer of razor sharp teeth to cut through any crowd large or small.